If you were like most folks in the Western world yesterday, you spent at least a few of its 24 hours staring at your phone while playing Pokémon GO. As a result, you may have missed seeing or hearing a piece of news that pertains to another curious Nintendo product. 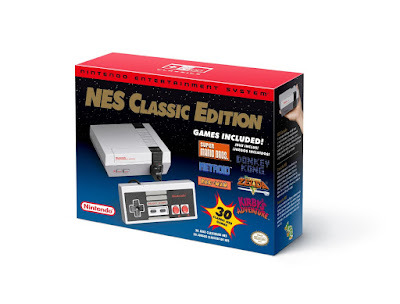 The product in question: the "Nintendo Classic Mini" NES. It's cute--I mean, come on. It's a tiny NES! What's not to like about that? OK, so I actually understand why some may not like it. After all, I've never been a huge fan of the system's design myself. For some reason, though, seeing it shrunk down as it is here brings a huge, stupid grin to my face. That said, if Nintendo announces mini Famicom in the coming weeks or months, I may well buy it rather than this similarly petite NES. Or, who knows, maybe I'll pick up both of them. It's cheap--I've encountered more than a few people on line who think this product's $59.99 price tag is a bit egregious. I think that's ridiculous. Packed inside each beautifully branded box is an adorable miniature NES, a controller that looks like a dead ringer for the original, an HDMI cable, an AC adapter and 30 pre-installed games. Considering The Legend of Zelda, all three of Nintendo's 8-bit Super Mario Bros. titles, Kirby's Adventure and Kid Icarus are among those pre-installed games, that last bullet point's an especially big deal, if you ask me. Also, think about how much you'd have to plonk down to buy those games via the 3DS, Wii or Wii U Virtual Console. About $4 or $5 a pop, right? To own all of them, you'd have to shell out $120 to $150. 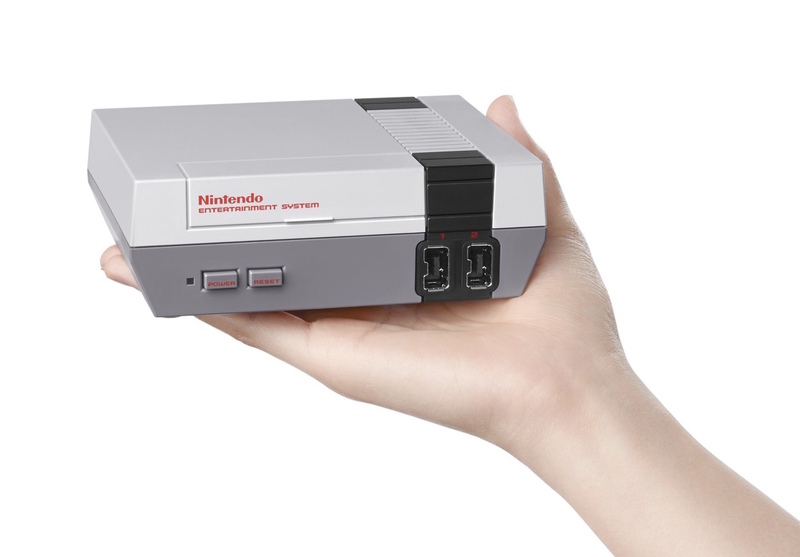 With the "Nintendo Classic Mini," you have to hand over just $60 or so. The included games--It's hard to find fault with the list of 30 titles that Nintendo's going to cram inside each of its tiny NES systems. Sure, I could come up with about 30--or even 60--others at the drop of a hat, but as far as "classics" go, I think the company has done a pretty solid job with this aimed-at-the-masses product. I was especially happy to see so many third-party efforts appear on the list of included games. Hell, it could be argued titles like Bubble Bobble, Castlevania I and II, Final Fantasy and Ninja Gaiden alone are worth the price of admission. Could they have given us the original Contra, Double Dragon and Mega Man releases rather than, or along with, their sequels? Of course. Also, I would've full-on swooned if, say, the palm-sized console came with Adventures of Lolo, the first Dragon Quest (Warrior), Duck Tales or Kickle Cubicle installed. I understand why that's not the case, though. And like I said earlier, even without those unquestionably stellar games, this plug-and-play product has my full attention and support. The possibilities--As far as I'm aware, owners of these reduced-fat NESes can't take them on line, nor can they add external storage to them. Both of those aspects likely will make them harder to hack. (Says the guy who knows very little about such things.) Still, I get the feeling someone, somewhere, will find a way to make these things more practical. And by that I mean they'll make it so folks like me can fill out its games library a bit. Don't worry, I won't whine if that fails to happen. I won't even whine if I drop nearly $60 on one of these suckers and it stops working at some point. 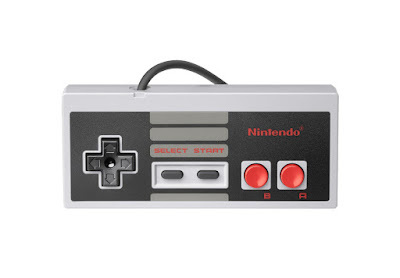 I'll still have a lovely, NES-shaped paperweight, after all--and who wouldn't want one of those? I'm not alone in wanting Nintendo Classic Mini: NES, right? Surely some of you also are chomping at the bit to pre-order one?